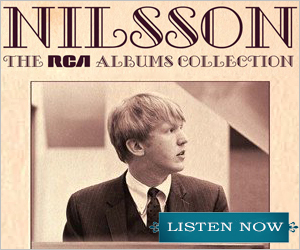 On July 18th the first official biography of Harry Nilsson hits the shelves. 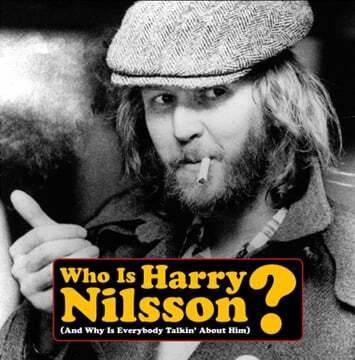 Nilsson’s estate granted author Alyn Shipton unprecedented access to Harry’s files, friends, family, and even Nilsson’s own unfinished autobiography, for Nilsson: The Life of a Singer-Songwriter (Oxford University Press), which is now available for pre-order at Amazon. Shipton, a celebrated author and the jazz critic for The Times of London, has written numerous books about music and the people that make it, including Hi-De-Ho: The Life Of Cab Calloway, A New History Of Jazz, Out Of The Long Dark: The Life Of Ian Carr, Fats Waller: A Cheerful Little Earful and Groovin’ High: The Life Of Dizzy Gillespie, among others. In January, we asked Shipton how a longtime jazzhead suddenly became a Harryhead, and he told us that it began with a BBC documentary he put together on Nilsson producer Richard Perry. Alyn has very kindly offered us this advance excerpt from the upcoming book, exclusively for Harry’s fans here, for which we are most grateful. The new book is also included as part of Sony Music’s press campaign for the upcoming 17CD box set. 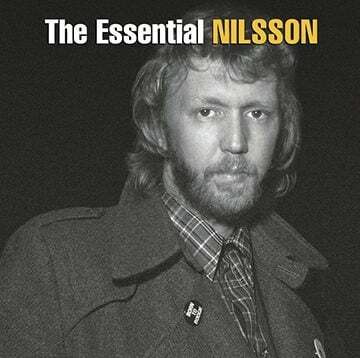 – The excerpt from Nilsson: The Life Of A Singer-Songwriter is copyright ©2013 Alyn Shipton. At the very start of July 1984 Nilsson was in New York, hanging out with Terry Southern. The co-author of Candy, creator of the screenplay for The Magic Christian and co-writer of the movies Dr. Strangelove and Easy Rider, among other films. Southern was already discussing with Nilsson the idea that the two of them should form a movie production company. More than that, they had become regular drinking and social buddies. Southern had recently been a member of the Saturday Night Live writing team and during his time on that television show, with its high-pressure demands on the writers to be consistently funny, his drug and alcohol intake had rivaled that of Nilsson. When they hooked up in New York, Southern was working on a possible film biography of Jim Morrison and his early novel, Flash and Filigree, had been newly republished with an introduction by William Burroughs, which reinforced his credentials as one of the hippest of hip writers. So, we got a plane from Boston to Washington. It was the largest concert, I think, ever, in history. There were a million plus people who showed up at this street concert. It was very, very hot. 102 degrees hot. I was wearing a black leather jacket and shades, just for a look, and I didn’t care. Terry was looking like a youthful man of indeterminate age who had just found the secret of looking rumpled and acceptable. We went to what was presumably the back entrance, where there’s this poor guard and we gave him a double act. I said, “Look, obviously we’re not kids looking for autographs.” He said, “But you don’t have any passes.” I said, “Can’t you just call Ringo in his trailer and he’ll okay it?” He said, “I can’t leave my post.” I said, “You can’t leave your post?” And he said, “No.” I said, “Good. Watch my father for me, I’ll leave him as collateral and I’ll be back in ten minutes. Thank you.” And I walked right past him. He couldn’t come after me, because he’d be leaving his post. Meanwhile, Terry’s sitting there pissed because I called him my father. There is a film of this event, released as the closing climax to the documentary The Beach Boys—An American Band, which came out in January 1985. On both sides of the stage there is a crowd of onlookers, and Nilsson can clearly be perceived among them in three scenes, wearing his shades and a black leather jacket, with his hair dark with sweat. Nilsson was invited to travel down to Florida for the next Beach Boys show at which Ringo would again be guesting in place of the band’s original drummer Dennis Wilson (who had drowned the previous December). But Nilsson and Southern (who finally talked his way in) were too exhausted after their trip to Boston to accept and so they returned to New York. 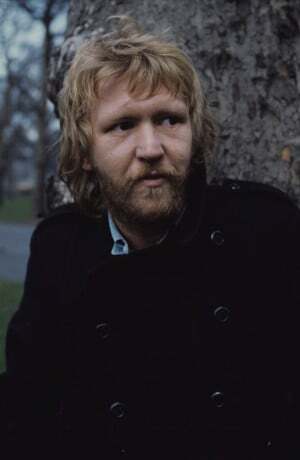 The city was to become Nilsson’s base for the next few years. 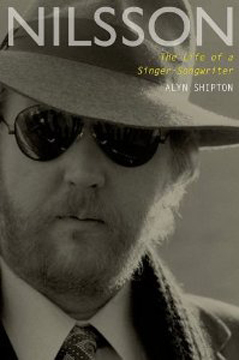 Excerpt: Nilsson: The Life of a Singer-Songwriter, copyright ©2013 Alyn Shipton.